The Project Management Board (PMB) consists of the Project Coordinator, the Acting Project Coordinator, the Coordinator for EC partners, the Coordinator for PC partners, country managers for Russian partners and for Kazakhstan partners. The PMB includes contact persons for all partner institutions. They are in regular communication via email, telephone and Skype. The minutes of meetings are written up and circulated. 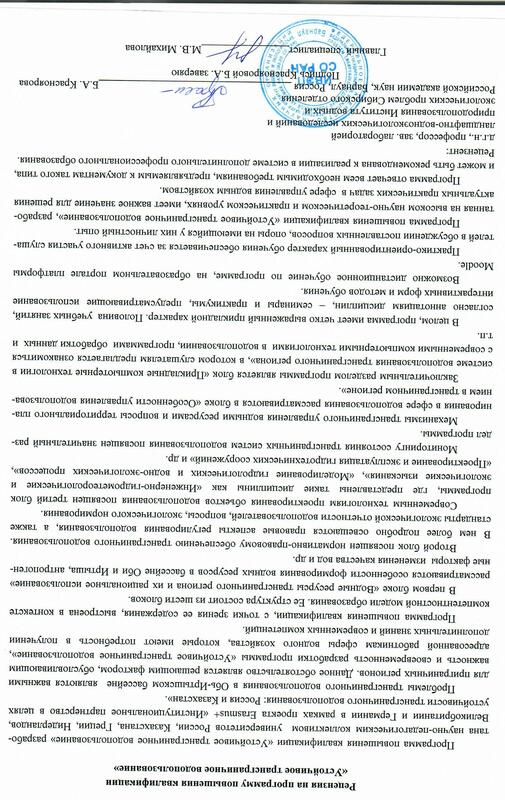 The legal framework for efficient running of the project created: the Partnership Agreements signed; internal documentation regulating role distribution, responsibilities and structures on the institutional level signed by the rectors. The kick-off meeting held at TyuSU in March 2016: work plan revised; a grant management workshop organized; the communication strategy discussed (see Activity 3). The established IWGs and TWG-s including staff from academic and non-academic partners were the main facilitators in designing methodology for building Industry-Academia Learning Partnerships (IALPs). information resources partially compiled, including 4 data bases on: key actors in the water management sector in RF and KZ; legislation, policies and practices in TWRM; technologies of water management; ecological and socio-economic issues. All resources (in Russian, with English summaries) are available on the Moodle platform at ASU, to be later mirrored on the platforms of each PI. WP 2.3 The outcomes of the WP 2.1 and WP 2.2 have allowed to design the project strategy for interaction with the industrial and other non-academic partners. The PC staff development programme has been implemented with the strong involvement of all the EU partners , who have organized and hosted workshops and seminars for the PC academics and non-academic partners representatives (e.g.Tyumen Vodokanal company). The workshops were usually combined with IWG meetings and management activities. The modules have been designed to cater for the trainees with 3 different levels of initial competences: Basic, Advanced and Expert. Some of the modules have been integrated into the graduate and post-graduate programmes at partner institutions , e.g., into the graduate programme ‘Usage and Protection of Water Resources’ at ASU. A User manual for the e-learning platform available online. Development of academic content for e-learning in progress. 1. Round Table on Institutional Partnership for Sustainable Water Management: at the University of Tyumen on 02-03-2016 (17 participants). 2. Meeting of the Working groups of the Yugra State University and Center of Laboratory Analysis and Technical Measurements of Khanty-Mansiysk Autonomous Okrug – Yugra: in Khanty-Mansiysk on the 13 January 2016 (6 participants). 4. Round Table on Strengthening of Cooperation on the Rational and Efficient Use of Water Resources of the EKR: at the East Kazakhstan State University in May 2016 (7 participants). 6. Videoconference on Institutional Partnership for Sustainable Water Management: at the University of Tyumen on the 21 June 2016 (39 participants). 7. Seminar on Actual Issues of Water Supply and Water Disposal: in Khanty-Mansiysk on the 15 December 2016 (35 participants). 8. Round Table on Perspectives of Cooperation in the Field of Development of Personnel in Water Use: at the University of Tyumen on 21-12-2016 (9 participants). 9. Summarizing seminar on Work Package 2: at the Altai State University on 13-18 February 2017 (24 participants). Meeting on the Problems Of Detection, Investigation And Prevention Of Environmental Crimes: 23 May 2016 in Barnaul (V.N. Gorbachev, Dr T.V. Antiufeeva, ASU). 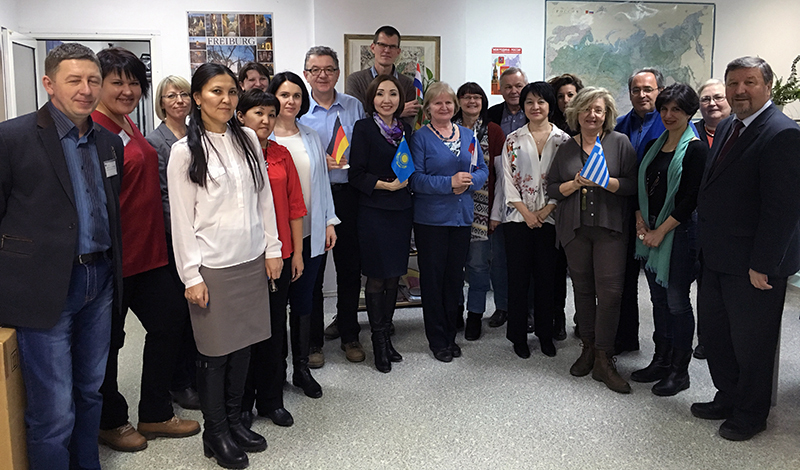 Meeting of the Working Group on the Ishim River Basin (Yesil) of the Russian-Kazakhstan Commission on the Joint Use and Protection of Transboundary Water Bodies: from 15 to 17 June 2016 in Tyumen (Dr N.V. Danilova, TyuSU). International Seminar on Water and Channel Processes: 7-9 September 2016, Poland (Prof G.Ya. Baryshnikov, ASU). International Conference on the Water Resources of Central Asia and their Use: 22-24 September 2016 at Almaty, Kazakhstan (Prof G.Ya. Baryshnikov, ASU). International Scientific and Practical Conference “Environmentally Friendly Technologies of Environmental Management and Water Use: theory and practice": 19 June 2017 in Novosibirsk (Prof. B.A. Krasnoyarova, IWEP). All-Russia Scientific Conference with international participants «Water Resources: new challenges and decisions»: 2-7 October 2017 in Sochi, Novocherkassk (reporters A.V. Puzanov, D.M. Bezmaternykh and others). International Scientific and Practical Conference «Trans-Regional Environmental Awareness for Sustainable Usage of Water Resources»: 16 October 2017 in Khanty-Mansiisk (reporters Prof. B.A. Krasnoyarova, IWEP, V.V. Paromov, TSU). Round Table «Legal Support for Rational Use of Water Resources in the Territory of KHMAO-UGRA (Ob-Irtysh Basin)»: 16-19 October 2017 in Khanty-Mansiisk (reporter Prof. B.A. Krasnoyarova, IWEP). Meeting of the Working Group of the Kazakhstan-Russia Committee on Joint Management and Protection of Transboundary Water Bodies in the Ertis River Basin: 13 - 16 March 2018 in Pavlodar (D.M. Bezmaternykh, IWEP). Scientific and Practical Conference «Baikal as a World Natural Heritage Site: 20 years later»: 2017 in Ulan-Ude: reporter Prof G.Ya. Baryshnikov, ASU. 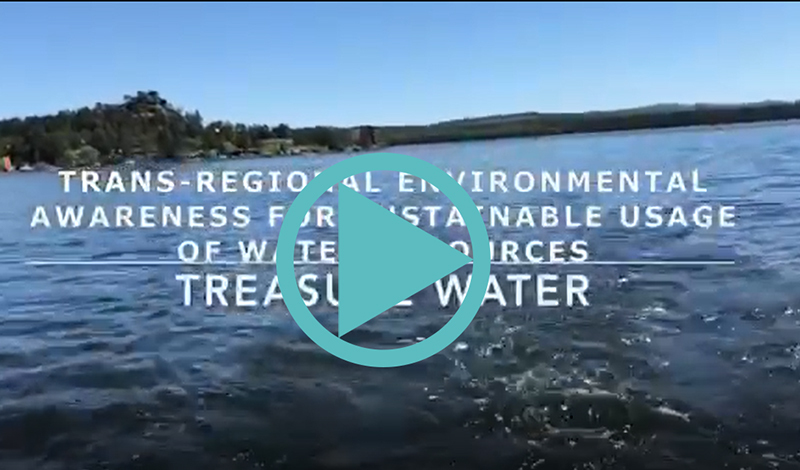 A new video explains the projetcs objectives, collaborating countries and institutsions and tells about the targets met until 2018. Due to the project type, aiming at strengthening the links between a wide range of stakeholders, dissemination has been performed on several levels and has taken various forms. It followed the Dissemination Plan designed at the beginning of the project. Project visibility has been enhanced via the design of the project info-map, information leaflets and posters in two languages, as well as a special project logo and a letter-head. Our consortium of 14 institutions from four EU and two partner countries collaborate in order to find answers to the question what various nations can do to manage shared natural resources sustainably. 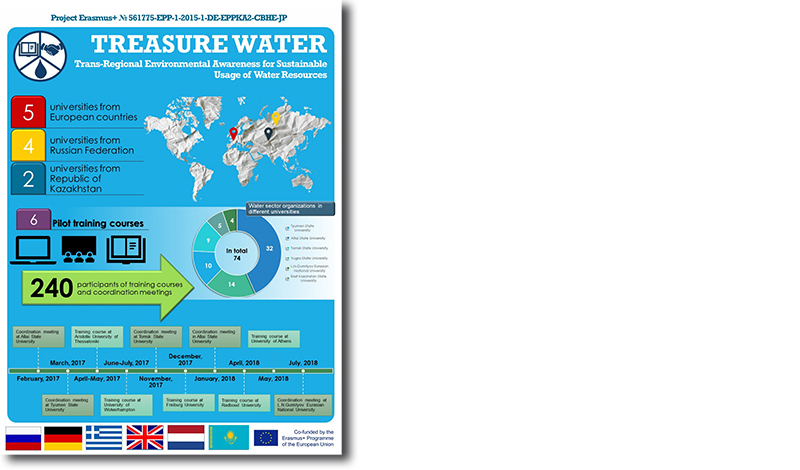 Entitled "Trans-regional environmental awareness for sustainable usage of water resources" – in short TREASURE-WATER – the project aims to strengthen the cooperation between the Russian Federation and Kazakhstan. Both countries share the watershed of the Ob River and have similar national and regional priorities in the fields of higher education and environment. Both also want to develop partnerships with enterprises. The consortium therefore will contribute to empower universities in the Russian Federation and Kazakhstan by enhancing synergy between higher education and enterprises in the field of trans-boundary water resources management. 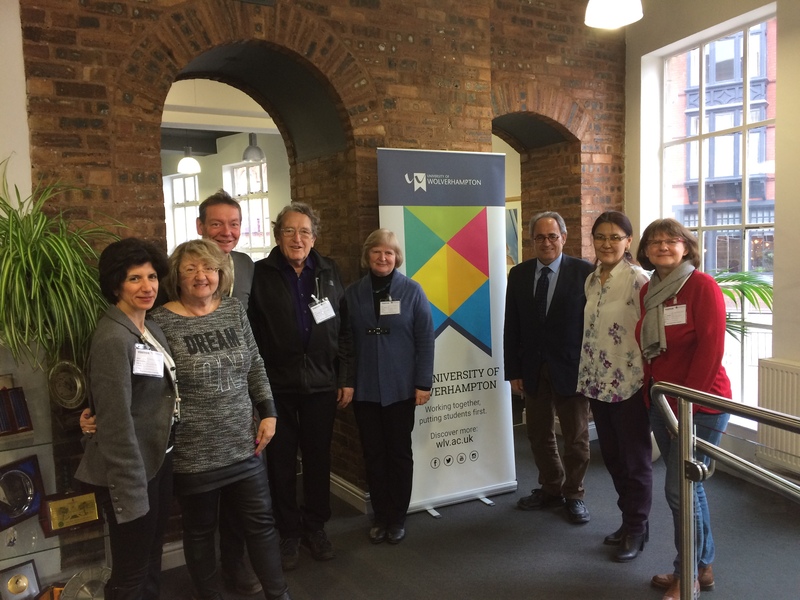 The project is co-ordinated by Professor Ralf Reski from the University of Freiburg, Germany, and Co-funded by the ERASMUS+ Programme of the European Union.